From the latest 50p coins to archaeological discoveries, Coin Collector magazine covers every aspect of the fascinating hobby of numismatics. Each issue features articles on classic coins from Roman, Greek and Medieval times, providing insight into how to collect the coins and how to avoid fakes; whilst the huge array of modern coins is also covered, with guides to collecting new commemorative coins, and comprehensive listings of new coins issued by mints around the world. Published quarterly, the magazine also features banknotes and tokens, auction results, interviews, the latest coin collecting news, events and exhibitions, and much more. 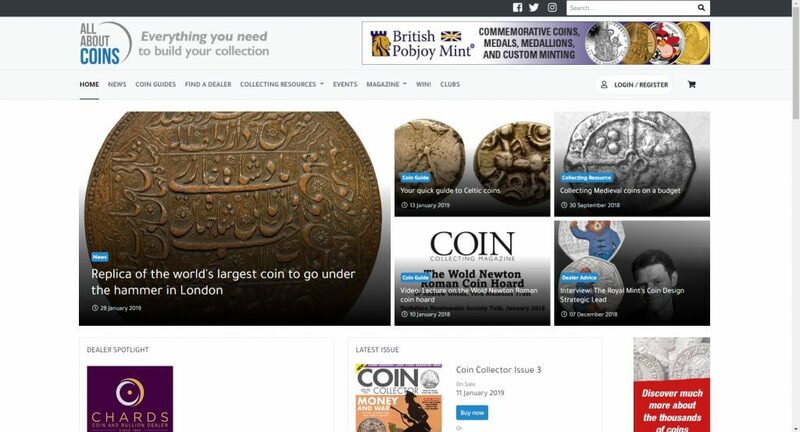 For daily updates, coin guides, and a comprehensive dealer directory, the www.allaboutcoins.co.uk website is another ‘must-visit’ for collectors.